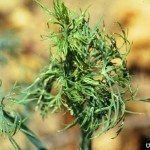 An unsightly, but manageable, disease of carrots is called carrot powdery mildew. Learn how to identify powdery mildew symptoms and how to manage powdery mildew of carrot plants. 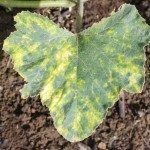 Powdery mildew is a fungal disease that is favored by dry weather with high humidity and temperatures during morning and evening hours with temperatures of between 55 and 90 F. (13-32 C.). The pathogen also infects related plants such as celery, chervil, dill, parsley and parsnip of the family Apiacae. While studies have shown that 86 cultivated and weedy plants are susceptible, a particular pathogen strain is not able to infect all host plants. The pathogen affecting carrots is called Erysiphe heraclei. Carrot powdery mildew presents itself as a white, powdery growth appearing on older leaves and leaf petioles. Symptoms usually appear when leaves are mature, although young leaves may be afflicted as well. The typical onset starts about 7 weeks after seeding. 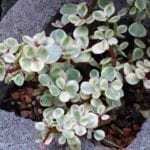 On new leaves, small, circular white powdery spots appear. These slowly enlarge and eventually cover the young leaf. Sometimes a slight yellowing or chlorosis accompanies the infection. Even when heavily infected, leaves often survive. This fungus survives on overwintered carrots and Apiacae related weed hosts. The spores are spread by the wind and can spread a great distance. Plants are most susceptible when grown in shady areas or when drought stressed. The best method for control is, of course, to avoid conditions that foster contamination. Use resistant cultivars and practice crop rotation. Avoid drought stress by adequately irrigating overhead. Avoid using excessive nitrogen fertilizer. Manage the disease with fungicide applications made at 10-14 day intervals according to the manufacturer’s instructions.